Artists: For more information on the 2019 art show, check the Call for Artists section below. Over 100,000 artifacts, illustrating the lives of indigenous tribes from North and South America, are on display with the primary focus on Native American tribes. Collections dating from 12,000 years ago include thousands of arrowheads, obsidian knives, spear points, primitive ancient stone tools, native clothing, intricate bead work, basketry, pottery and more. 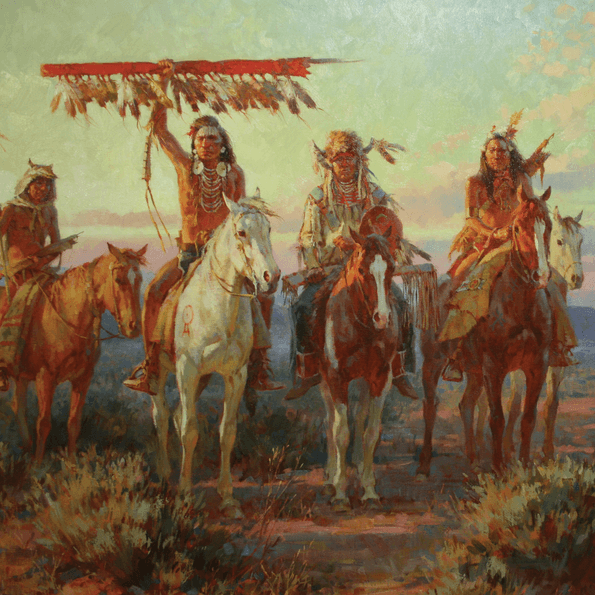 Among the ancient artifacts, you will find original paintings by many famous western artists, including the original oil “The Scouts” by Charles M. Russell. You will also find original paintings by John Clymer, Frank McCarthy and many more, who tell in their own artistic style, the story of the west. 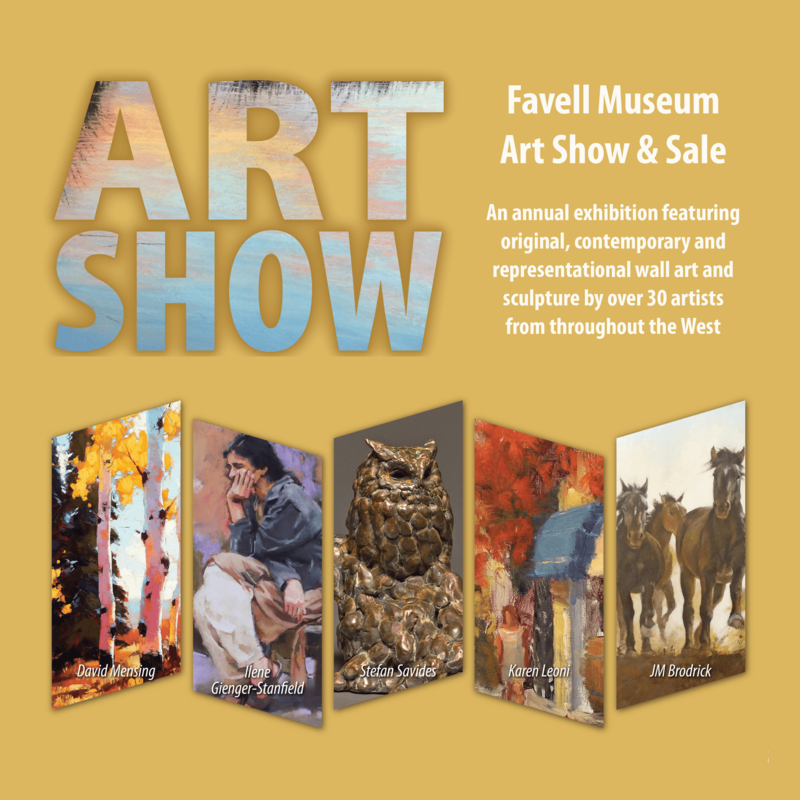 Every month the Favell Museum will feature a different exhibit. For the month of February, southwestern pottery from the museum’s collection will be featured. 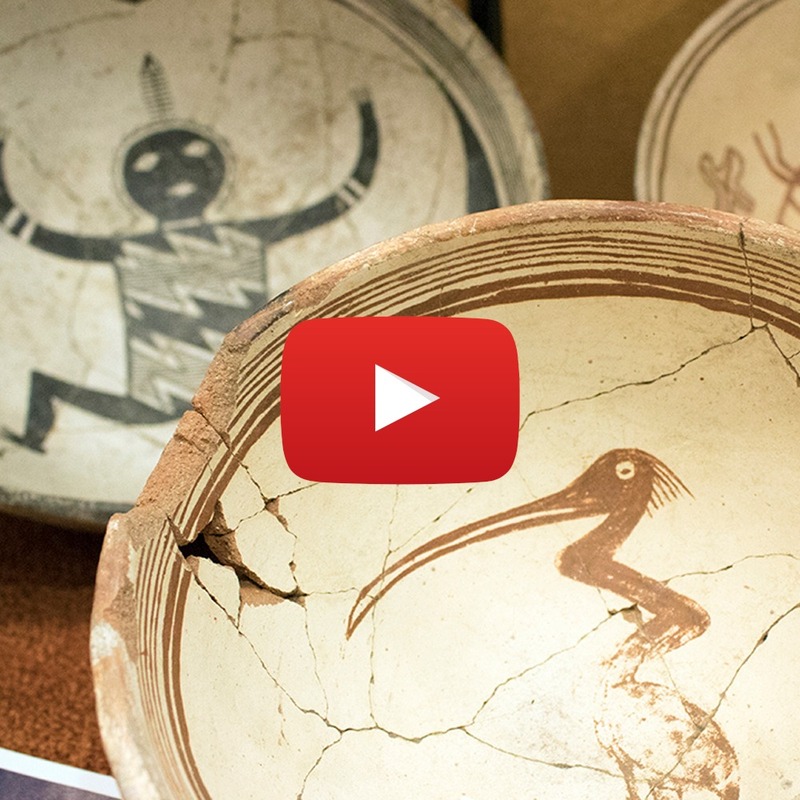 See early forms of pottery, including Salado, Jeddito, Anasazi, Mimbres, and Tularosa. Watch the video above, or visit our informational library page for more information. The annual exhibition will highlight original, contemporary, representational art by 32 artists, including oil, pastel, watercolor, acrylic, and mixed media. Up to four bronze and wood sculptors will be accepted into the show. The exhibition features landscape, plein-air, western, figure, still life, wildlife, historical art, and more, in a variety of artistic styles. Check back regularly for updated information. 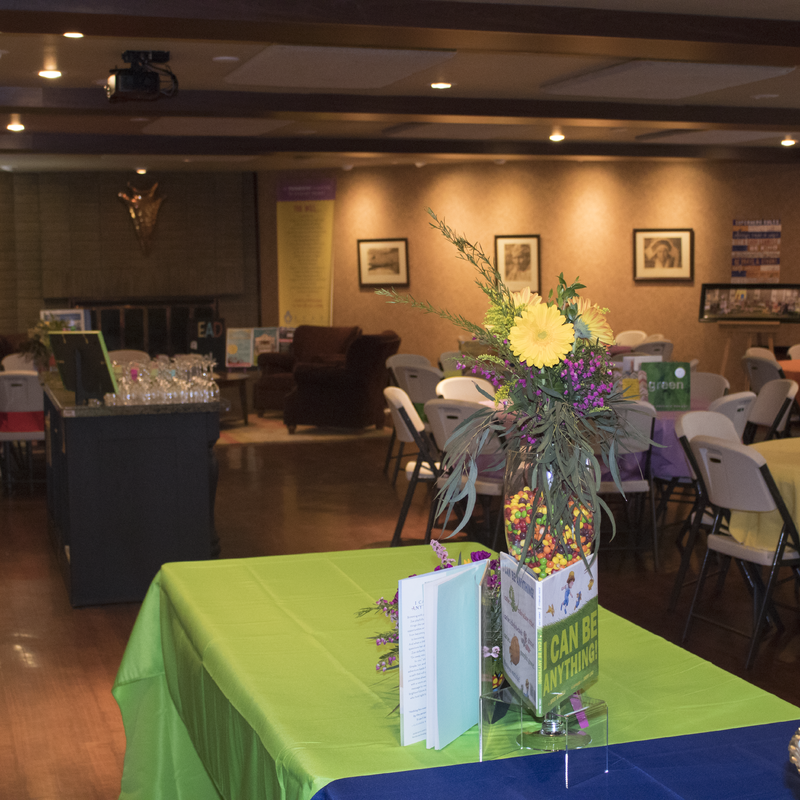 Located on the banks of the Link River, the museum offers a spacious banquet facility and state of the art kitchen making entertaining easy for caterers or individuals. Warm colors and lighting along with a gas fireplace create an inviting ambiance. The museum’s lovely patio/garden area provides a beautiful setting for an outdoor wedding or any special event. Projector equipment is available for meetings, as well as WiFi. The Favell Museum Community Art Program is a unique visual art education program that provides hands-on activities and interactions with fine art and indigenous artifacts to youth in Klamath Falls. 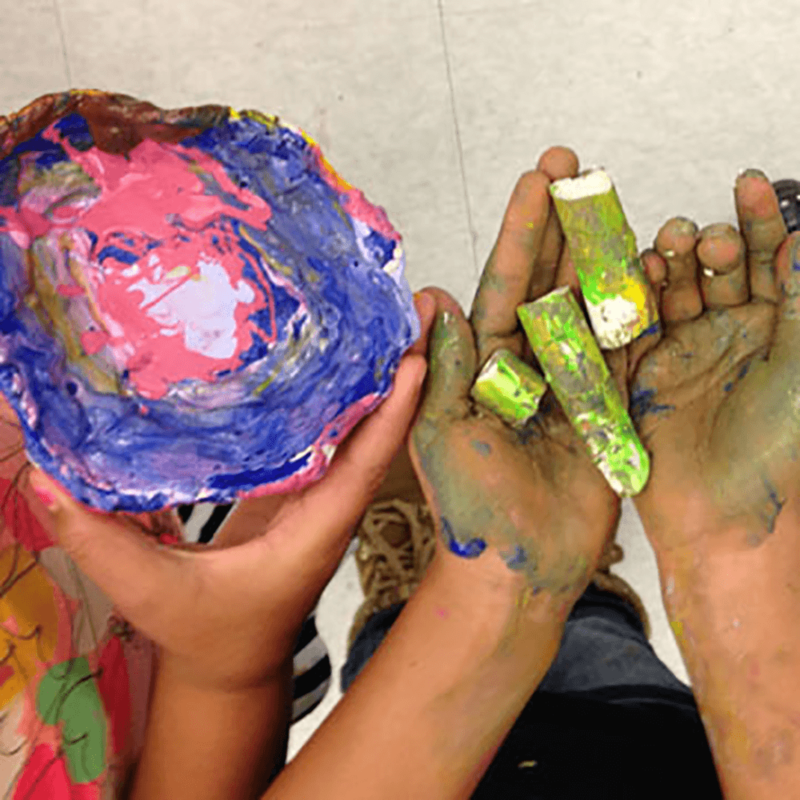 Our students work with clay, fold origami, paint, and sew journals, in fun, collaborative, structured lessons. For many, it is their only opportunity to make art because they live in poverty and attend schools that lack funding for art programs. Get a glimpse at what the Favell Museum has to offer in this informative video by Discover Klamath. A real treasure. The Favell Museum is a wonderful, classy, small museum of Native American Artifacts and Western Art. The collections are remarkable, indeed. 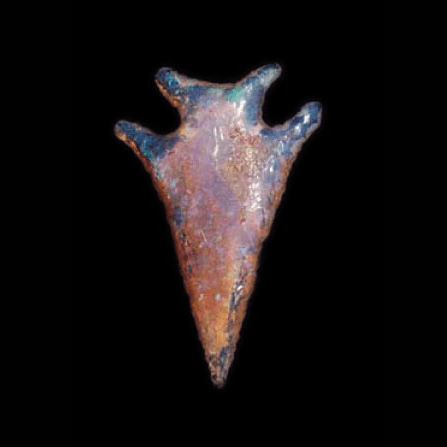 A 12,000- year-old Clovis Point; one of the largest arrowhead collections in the world, including a small, but “oh my!” fire opal point; a mind boggling beaded Sioux cradleboard; a significant collection of working miniature guns; and on and on.